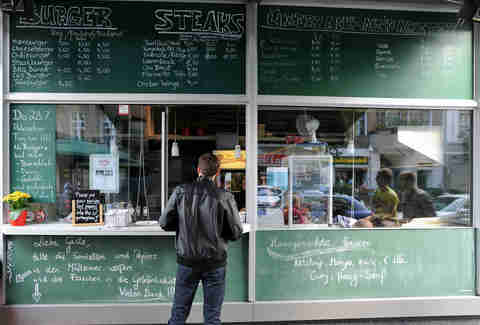 This north Prenzlauer Berg joint boasts the best beef puck in the city & they do it like the NY steak spots they're modeled after, w/ English muffins subbed in for the buns. 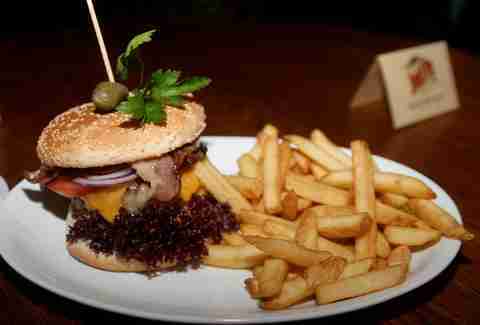 They’re greasy, massive (250 grams) & can be tricked out w/ a variety of toppings incl. a huge spoon of chili. This is a classic American diner all the way to the cheapo plastic cafeteria cups (complete w/ free refills, which is rare in Europe). The name’s a Hawaiian word in homage to the owner’s favorite childhood resto back in Honolulu & the menu features island fare by way of the dish Loco Moco. 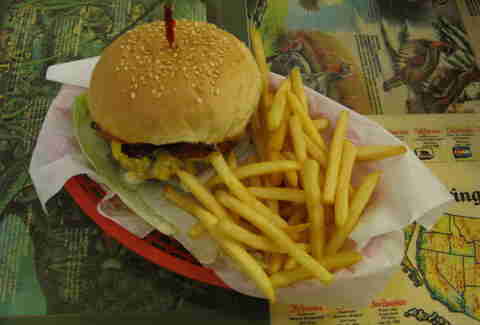 But the burger is served straightforward -- the only option is w/o cheese -- on a soft white bread-style bun, w/ American cheese, lettuce, tomato, and onion. 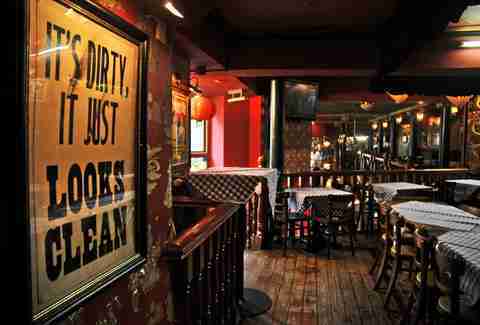 This West Berlin resto feels like a real American pub a la Cheers, complete w/ brick walls, wood countertops & fat regulars permanently moored at the bar juicy burgers. The name comes from the Kentucky Derby drink, but the beefwiches are made from US corn-fed beef, ground the minute you order it. Texas is the name of the game at this hole-in-the-wall establishment, where American oldies blast & the burgers come loaded w/ guac, jalapeños, or Tabasco. 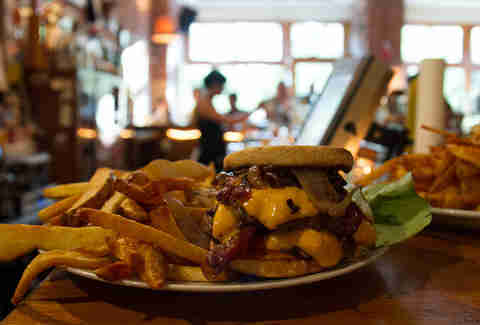 We’re not sure quite how a peanut butter- and bacon-covered burger qualifies as Tex-Mex, but they do that too. It’s also the only place in Berlin to accept Bitcoin, so depending on how you time it, your meal might be the price of a small car, or basically free. 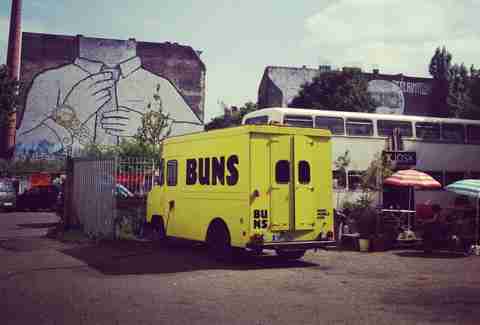 One of the top food trucks in Berlin, this bright yellow GMC van pumps out a delicious French-inspired sandwiches. In between a plancha-charred bun, you’ll find their juicy free-range beef patty topped w/ Dijon mayo and either chipotle ketchup or bourbon BBQ sauce. The kicker is a slab of French cheese, perhaps Gouda Fermier, Cantal Entre Deux, or Raclette Fumée. This newish burger outlet gives their patties a Japanese-fusion spin w/ a healthy dose of shiso, a fresh flavored herb used in many Asian dishes. The fluffy buns come topped with black sesame seeds, the burgers include mix-ins like chili mayo & teriyaki sauce, and edamame’s available alongside the crispy twisted fries. 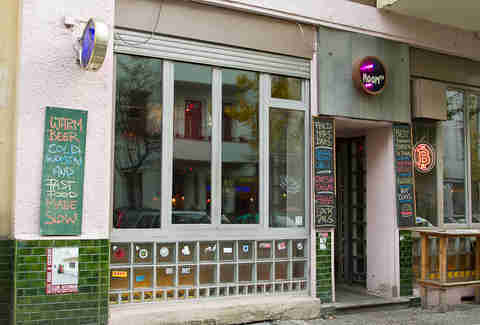 This spot kind of looks like a Chinese dumpling house, but inside you’ll find a den of rock n’ roll (which is also a tattoo parlor, btw) that dishes out some of Berlin’s most loved cow-wiches. The Los Angeleno owner’s relatives come from Tennessee, so the menu’s full of Southern comforts, and the massive burgers are topped w/ everything from Hell-fire BBQ sauce to cheddar, "sour kraut" & bacon. 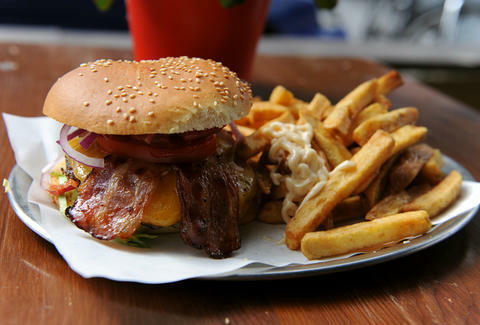 After cooking in San Francisco for four years -- and eating late night grub in the city’s old-fashioned diners -- German Chef Leon Schnell was converted & wanted to bring the burger culture to Berlin. Everything here is 100% homemade, from the ketchup & mayo to the burger bun recipe. 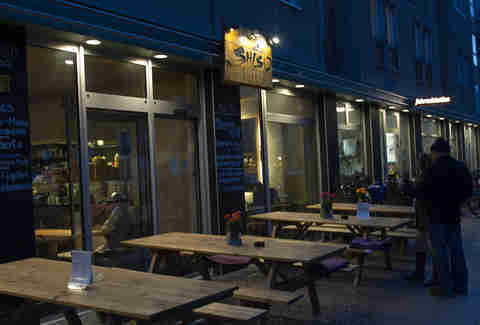 A second shop opening in Neukölln mean’s Schnell can bring his old-fashioned burgers to even more Berliners.